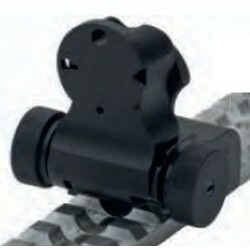 ADJUSTABLE SET FOR ASSAULT RIFLES There are 4 products. A revolutionary folding adjustable set which is also removable for assault rifles equipped with weaver and / or picatinny rail. In combination with the rear sight, the innovative folding front sight T-MAS7 allows adjustment of the height by a click washer inserted into the main body of the front sight, providing a precision adjustment immediately by hand without special equipment needed. 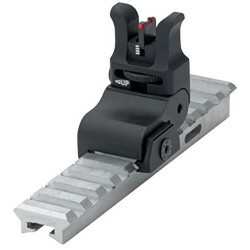 LPA rear sight for assault rifles with micrometer windage adjustment. In the folden position, the MAS5 is equipped with a fixed sight for close shots. 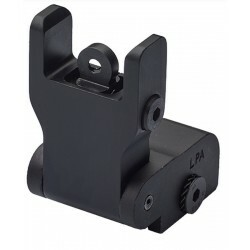 LPA front sight for assault rifles with micrometer height adjustment (30-34 mm). 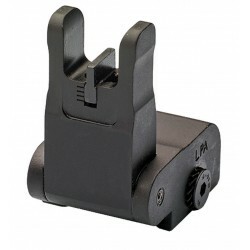 In the folded position, the T-MAS5 is equipped with a fixed sight for close shots.